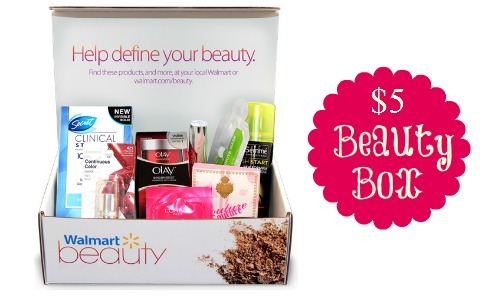 This is a great time to check out the Walmart Beauty Box if you haven’t already! Each box will come with sample beauty products and tips on how to use those and other items sold at Walmart and on Walmart.com. You only have to pay $5 shipping for your first box and then your future seasonal beauty boxes will charge you when your box ships. You can expect to receive your box between 5-7 days of receiving your shipping confirmation email. Boxes may sell out at anytime. Offer valid for a limited time. Shipping is $5.